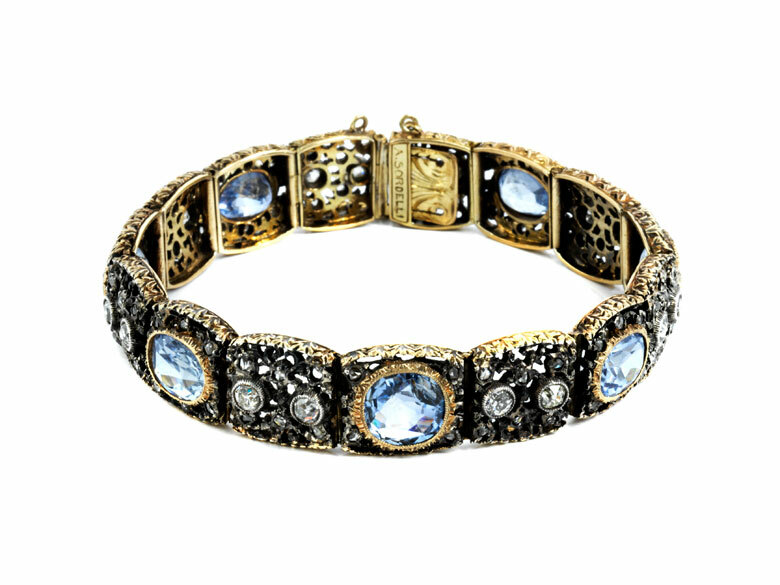 Fine, open-work bracelet with oval and round facetted light Ceylon sapphires, totalling ca. 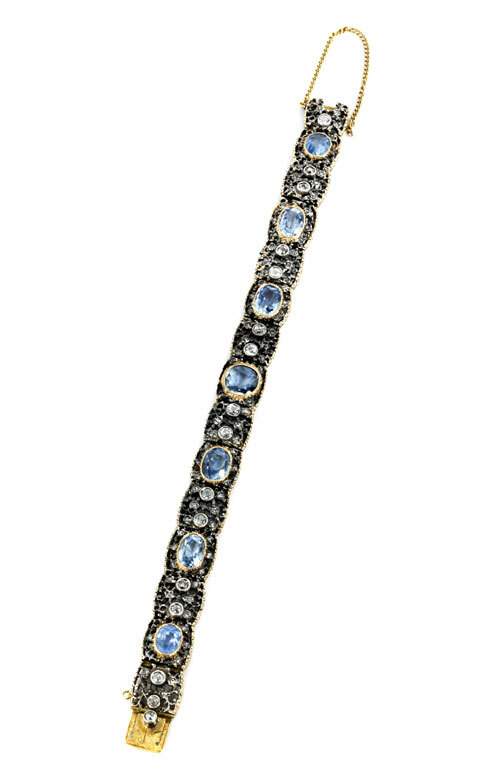 11 ct, and old-cut diamonds and diamond roses, totalling ca. 2.2 ct. Box clasp with unhooked safety chain. 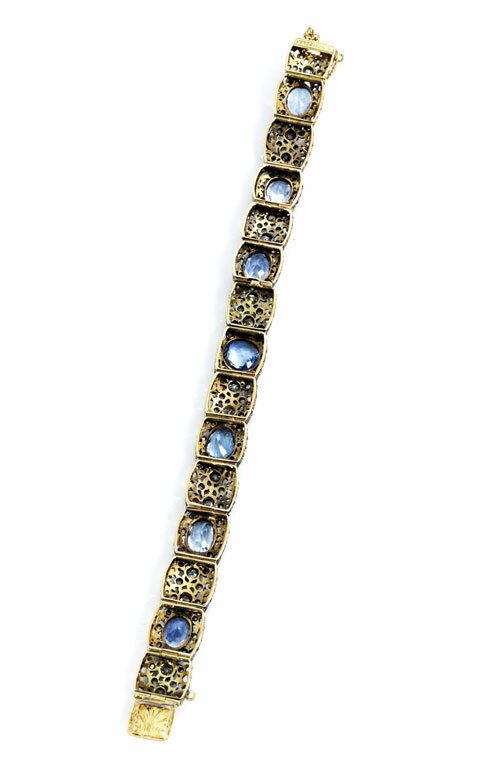 Some wear to sapphires consistent with age.